Originally built to protect vehicles from harsh weather elements, a garage is a section of a house which has grown to become a multi-functional storage area for families over the years. More than just housing a car, it can also be a work shed, a storage area for your power tools or a lawnmower, it can also be a rumpus room for the kids, while some have a living area where extended family can stay during the holidays. No matter the size or purpose of your garage door, the one thing that you should take into consideration is its safety. If it's several years old, you may want to get in touch with a garage door repair company that will fix existing garage door that you have. If you have yet to build one for your home, you should also hire a good company for the installation of the unit for you – which can be done as part of the house or as a detached building within the premises of your residential property. 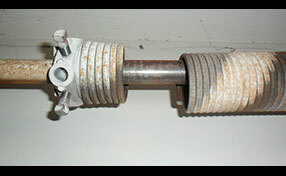 Damage door tracks and other related problems also calls for garage door maintenance. Be it a detached unit or an additional wing for your house which you are planning to use as a garage, the material for the door that you will be using is extremely important. Steel is one of the most popular materials, due to its slew of advantages. First, steel doors are easy to maintain and do not cost that much to install. Second, there is a wide variety of designs for steel doors that you can choose from. Third, you can design your garage in such a way that it can help insulate your home during wintertime if the door is made from steel. You can also go for wooden garage doors. The only downside to taking this route is that wood in general is costlier to maintain – and may not withstand the wear and tear that steel doors can easily breeze through. An increasingly popular material used for doors of garages is vinyl. You do need to place an order for one in advance and what makes it stand out from other materials is that it is eco-friendly. There are also several insulation solutions that you can go for when choosing vinyl as material for doors. 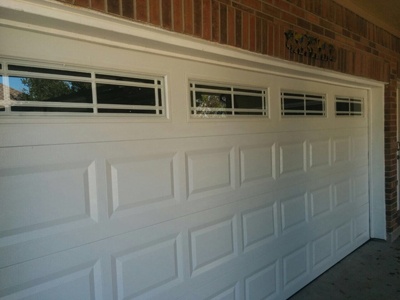 No matter which type of material it is that you end up using, it is important to perform regular garage door maintenance. This way, you can make the life of the garage door last for ten or more years – saving you a lot of money on installation expenses, while also shielding your vehicle from harsh weather elements.